A Romance Reviews top pick. Lilith Evergreen follows her recent strange dreams to a ruined castle on the other side of the world ~ where she meets terminally cheerful tour guide Cade Bausiney. The attraction is too powerful ~ and too instant ~ to be trusted. A thousand years ago, two lovers were killed by magic gone wrong. Some say their spirits haunt Tintagos Castle in pursuit of living hosts in order to satisfy their desire for each other. 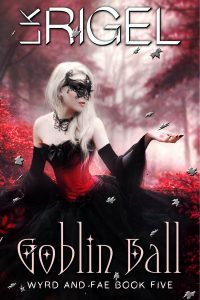 Lilith and Cade fight the possession that would control them ~ not knowing a far more powerful and present-day magic threatens to imprison Lilith forever. A love more powerful than magic or time. Beverly Bratton has a safe, mundane life. No drama. 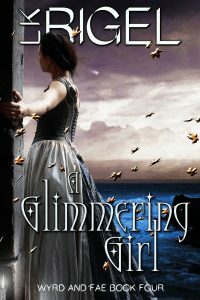 No magic ~ until a fairy’s charm sends her a hundred years into the past and into the path of a banished fairy prince. The Dumnos fae are turning dark. To save his court, the prince must retrieve the mystical coronation cup which has fallen into human hands. Hope is lost until Prince Dandelion meets the only human who can help him. Together Beverly and Dandelion fight dark forces human and fae to put him on the Moonstick Throne and return her to her own time ~ but the better she knows the prince, the less she wants to go. Some desires the high gods deny… and some they feed. 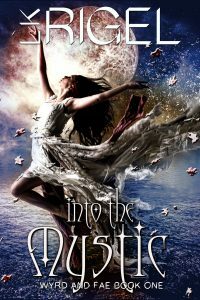 When Elyse of Glimmer Cottage escapes the fae realm, she returns to a completely changed human world. She accepts her fate, but the loneliness is crushing ~ until a strange mist rolls into Tintagos and lures her from her warded self-imprisonment. In the Small Wood east of Tintagos, Elyse meets someone who reveals a world she didn’t know existed ~ and offers what she had given up as even possible ~ a chance to know love. An origin story in the Wyrd and Fae universe. A protected daughter of the high gods with unmeasured mystical powers. A weary warrior home from the Crusades to a village plagued by civil war. A fanatical priest determined to let no wyrding woman live. And a love affair whose effects ripple through time to the present day. Igraine should have remained at Avalos, the hidden mystical island which has always been safe haven to the wyrd. There her life was full of magic and fun, learning to work her will on the elements ~ and even how to transform into a falcon. 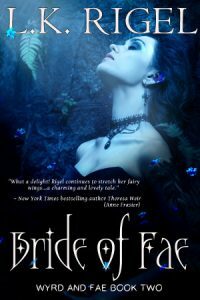 But when she answers a Tintagos farmer’s plea to help a baby in distress, Igraine comes to the attention of a fanatical priest who would destroy all the wyrd and is unwittingly caught up in the worldly schemes of both kings and fae. 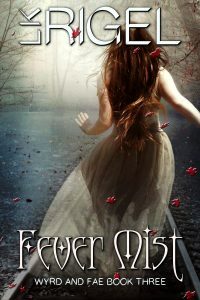 A human warrior returned from the Crusades may save her ~ if a dark fairy’s obsessive desire doesn’t kill her first. When true love will free us all. Fairies and goblins and wyrders ~ oh, my! The goblins are coming to Lady Lexi’s ball. Once and for all, Max means to put true love on Cissa’s dance card ~ but that redheaded fairy queen expects the midnight moon to deliver her long lost prince. The exciting conclusion to the Wyrd and Fae series.